As I write this first blog post, I thought I’d let you in on the spiritual wrestling I went through before starting, and the guiding words that came to me. I wondered, how do I express myself, how do I put myself out there in today’s social media universe, without selling myself out to the ways of the world? I want these four words to guide me, and maybe they could help you. I haven’t been a blogger until now. I haven’t used Facebook much. I didn’t even have a Twitter account until a month ago. I’m starting to use all of these tools partly because I wrote the book Boundless and had to figure out how to market it. The advice I read from book marketing experts like Michael Hyatt and Rob Eager pushed me to consider forms of communication I had resisted before. 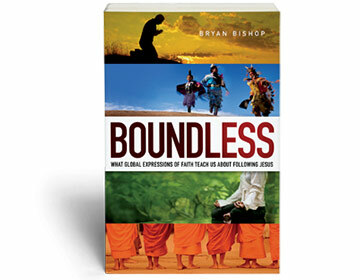 After prayer and conversation with my wife, I remembered that when I first encountered the subject I wrote about in Boundless, it was 1998 and I was talking with a man who was working with Muslims outside the normal cultural box that surrounds Jesus. When I came away from my conversations with this man, I carried with me the conviction this is too important a subject to keep hidden, and it was top secret at the time. I could see biblical precedent for using other labels besides “Christian,” for redeeming cultural practices that had formerly belonged to other religions, and for having a more inclusive view of the spiritual growth process. I knew the search for a more diverse faith could lead down dangerous paths, so I thought it would help to have a broad dialog on the subject. I wished that Christ-followers could find out about this approach and have a discussion about it. It seemed that truth could become clearer as people voiced their opinions. So I’m blogging now not primarily for marketing reasons but because I want to encourage that kind of dialog about what it means to expand our faith beyond the normal cultural boundaries that surround Jesus. In the social media world today, where there is such pressure to communicate often and everywhere, I think it’s important for a Jesus follower to shape their activities by obedience to God. One of the concepts I’ve struggled with as I’ve read about book marketing is the advice about branding. As an author, I’m told to create a consistent brand. That brand is myself. My name, my image, my colors, my message, my typography, and my media outlets. I didn’t want to create that persona, partly because I know how much I want to be liked and admired. Again, as I prayed about this and talked with my wife, I gradually came to a different perspective. It’s not inherently arrogant to use one’s name. If I see myself as a learner who wants to learn from others, it’s not necessarily prideful to put forward thoughts for others to interact with. I realized that to hide myself, worried that people might not like me if they find out what I really think, can be more prideful. Self protection is another form of pride. But I know it’s a danger to brand myself. I want to ask you if you’re reading my blog to call me on it if you see me saying things that puff myself up. In this world of pressure to put our airbrushed, glossy image out there, I think it’s important to seek to be guided by humility, and to ask others to hold us accountable. Frequency. That’s a constant mantra of the platform-building bloggers. Tweet a couple of times a day. Post on Facebook at least once a day. Blog a couple of times a week. Arrange speaking engagements as often as you can. And don’t forget to post photos regularly on Instagram. Aside from the time it would take to do all of that, I worry that I’m not smart enough to put out anything of value that often. One of the luxuries of writing a book that took eight years to complete is that I could check and double-check facts. When I teach about writing, I often hand students a printout of the familiar story of Jesus feeding the 5,000 as told by Luke. I have them circle all the facts. Then I ask them how could Luke, who most likely wasn’t present at this event, have found out details like the number of loaves, the time of day, or the number of people in each group that sat down. He had to ask and clarify and verify. If words have power to destroy as well as to build up, I think it’s important to balance the pressure for frequency with a holy fear about accuracy. One of the things I like about social media is the way it can provoke two-way conversation. Those of us who use it can give lip service to this benefit, though, while really counting the number of likes or followers or comments or subscribers. This focus on numbers becomes more about impressing a crowd than it is about caring for a person. I want to resist that as I begin blogging. I want to learn from you and from everyone who takes the time to read anything I write. I think in social media, as in life in general, it’s important to live by these words: “This is how we know what love is: Jesus Christ laid down his life for us” (1 John 3:16). Love isn’t about being liked. 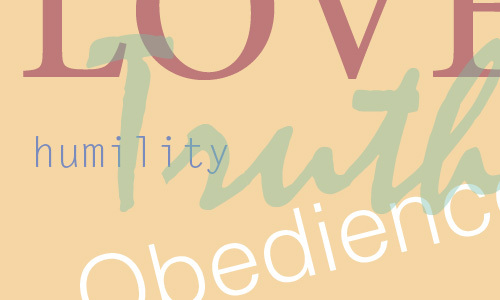 It’s about sacrifice, humility, and obedience. I hope it’s words like this that guide the words I write. What words do you want to live by as you communicate in today’s world? Share your thoughts with me on Facebook or on Twitter.